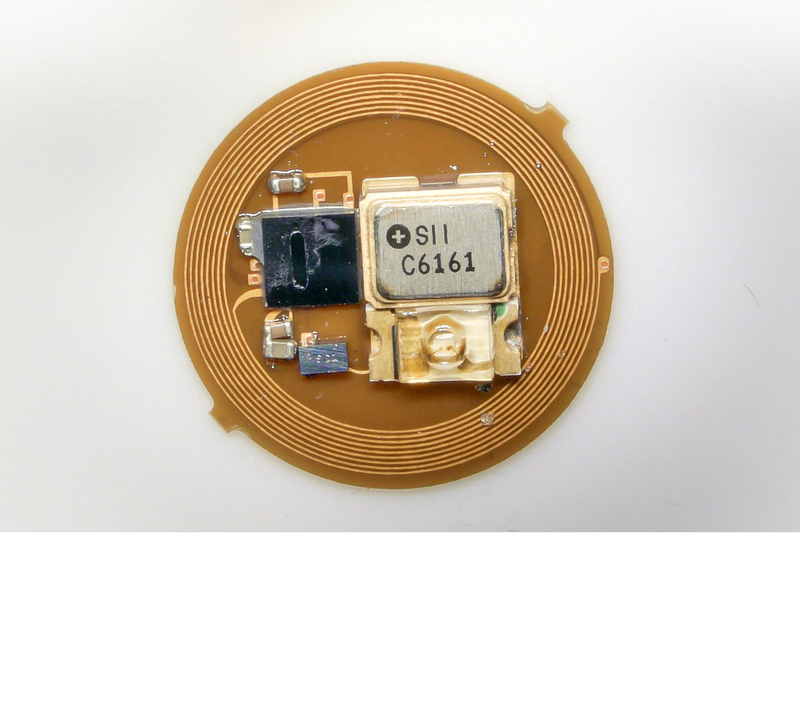 EVANSTON - A Northwestern University professor, working in conjunction with the global beauty company L’Oréal, has developed the smallest wearable device in the world. The wafer-thin, feather-light sensor can fit on a fingernail and precisely measures a person’s exposure to UV light from the sun. The device, as light as a raindrop and smaller in circumference than an M&M, is powered by the sun and contains the world’s most sophisticated and accurate UV dosimeter. It was unveiled Sunday, Jan. 7, at the 2018 Consumer Electronics Show in Las Vegas and will be called UV Sense. UV Sense has no moving parts, no battery, is waterproof and can be attached to almost any part of the body or clothing, where it continuously measures UV exposure in a unique accumulation mode. Rogers said the device, created in a partnership with L’Oréal, is meant to stick on a thumbnail -- a stable, rigid surface that ensures robust device adherence. It’s also an optimal location to measure exposure to the sun. The wearable tech can be customized with different coatings and designs over the electronic interface. Users need only to download an app on their smartphone, then swipe the phone over the device to see their exposure to the sun, either for that day or over time. The app can suggest other, less UV-intense times for outdoor activities or give peace of mind to individuals who are concerned about overexposure. “UV Sense is transformative technology that permits people to receive real-time advice via mobile phone messages when they exceed their daily safe sun limit,” said June K. Robinson, M.D., research professor of dermatology at Northwestern University Feinberg School of Medicine. Roger’s research group at Northwestern, in collaboration with Robinson and researchers at Feinberg, have received a roughly $2 million grant from the National Institutes of Health to deploy the fingernail UV sensors in human clinical studies of sun exposure in cohorts of subjects who are at risk for melanoma. The first pre-pilot field trials launched in December. Half the U.S. populationexperiences a sunburn once a year or more. On average, half the U.S. population experiences a sunburn once a year or more, he said, and there are more than a million melanoma survivors in the U.S. alone. Guive Balooch, Global Vice President of L’Oréal’s Technology Incubator, said the company’s research shows that overexposure to UV rays is a top health and beauty concern of consumers worldwide. Rogers said the aesthetic design features of UV Sense are also important because they can help break down barriers to adoption. The device can be produced in any color with any pattern, logo or branding. Last year, Rogers’ cutting-edge invention, the “Microfluidic System on the Skin,” was selected as an exhibit at New York’s Museum of Modern Art. As the Rogers Lab at Northwestern continues to develop new products, Rogers believes the technology his team developed will have other applications that can help consumers better monitor their health.